On those chilly winter mornings, nothing is worse than stepping out of your nice, warm shower onto a bitingly cold tile floor. Walking across that icy ceramic kitchen floor in your bare feet to get your morning cup of coffee is also a rather unpleasant experience. Most people can think of numerous places in their home where a heated floor underneath their feet would feel heavenly. While many may dream of having this feature, few realize just how affordable radiant floor heating systems are. 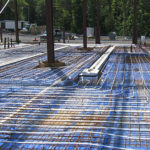 There are numerous benefits to having radiant floor heat. Aside from never having to step onto a cold floor again, radiant heating systems don’t dry out the air, they’re efficient and they help keep the air clean since they don’t use a fan to blow dust-filled air around. 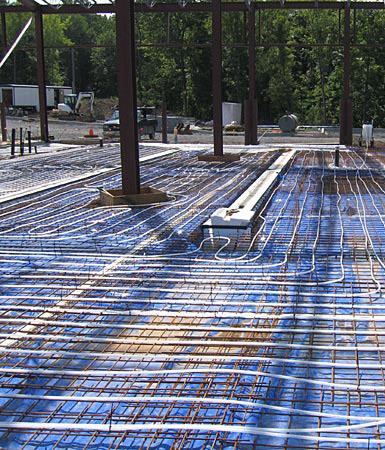 You can install a radiant heating system to help keep your entire house warm or just focus on a few rooms that need some extra warmth. Each system has its own advantages and disadvantages. Which system you choose will depend on your heating needs. Call us at (415) 387-9593 for a free estimate today!